We have been renting ‘Happy’ the elephant since last year. ‘Happy’ had the hardest life imaginable for an elephant. Every day she was used in the illegal logging industry taking very large logs across the border into Vietnam. She is slowly recovering and getting fatter with lots of sanctuary food to eat. She is also spending more time with our elephant ‘Sophie’. That is wonderful to see. Unfortunately her hill tribe owner now wants to sell her so we need to buy her. The price is $30,000. If we cannot afford to buy ‘Happy’ she will be sold to a tour company to be ridden around the temples of Angkor Wat. We are very close to having saved the $30,000 needed to buy her. We have a NEW FUNDRAISING CAMPAIGN so that you can help us buy Happy so that she remains forever at our sanctuary. 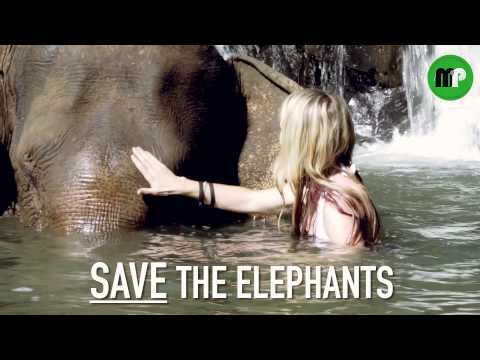 Please watch the amazing video we made starring Happy the Elephant! It would be a BIG HELP if you would donate to this fundraiser! Every donation, no matter how small, will help us achieve our goal. Any extra money raised will be used for our next elephant rescue. Please share this campaign with your friends and family.